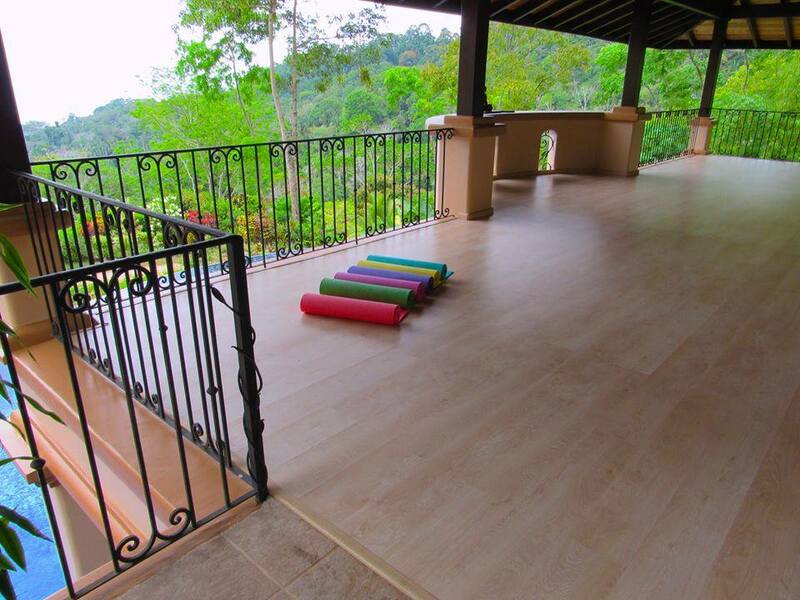 COSTA RICA YOGA RETREAT WITH COLIN KIM! Villa Mareas is being sold. 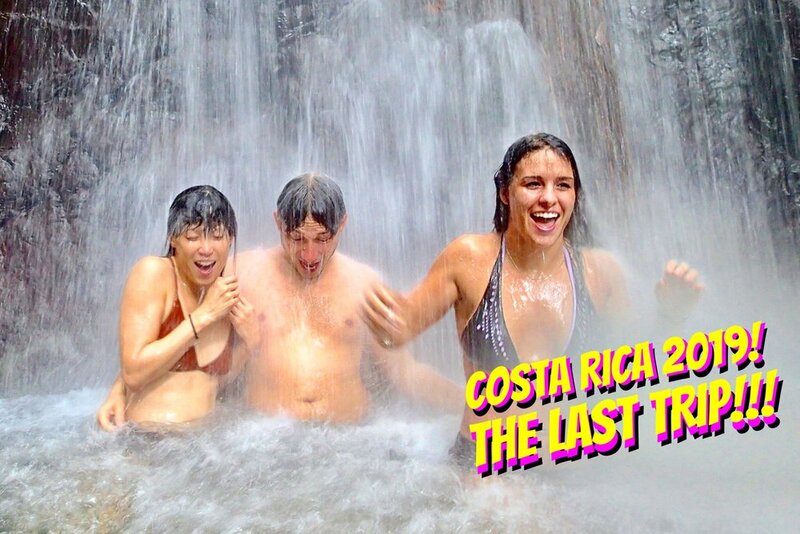 Alas, this is Colin’s last trip to Costa Rica. 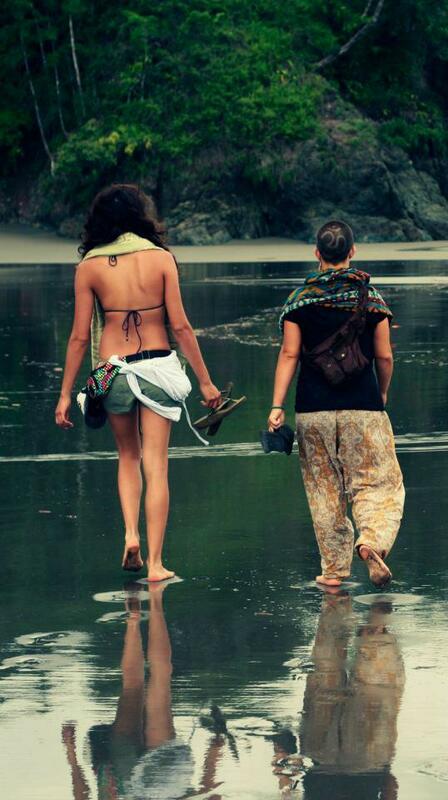 Spend One Week on Costa Rica’s ‘Whale Coast!! !’ Arrive in Style by Private Plane to Villa Mareas!!! 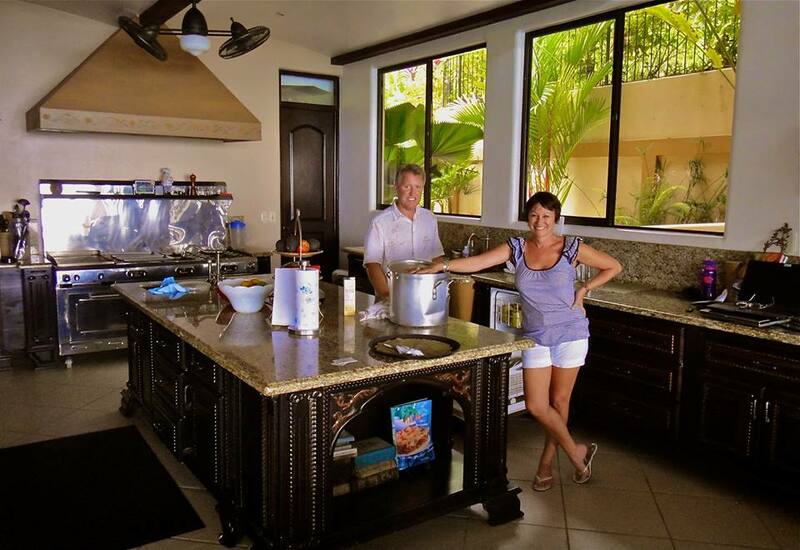 Photo Gallery & Confirmed Guests Below..
Snuggled in a rainforest, Villa Mareas is located in the most desirable area of Costa Rica, Costa Ballena. 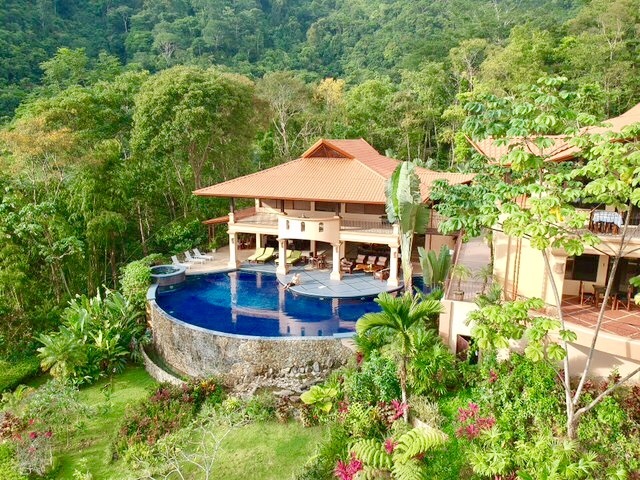 This stunning alcazar beckons you with 36 PRIVATE ACRES of Costa Rican Rainforest. 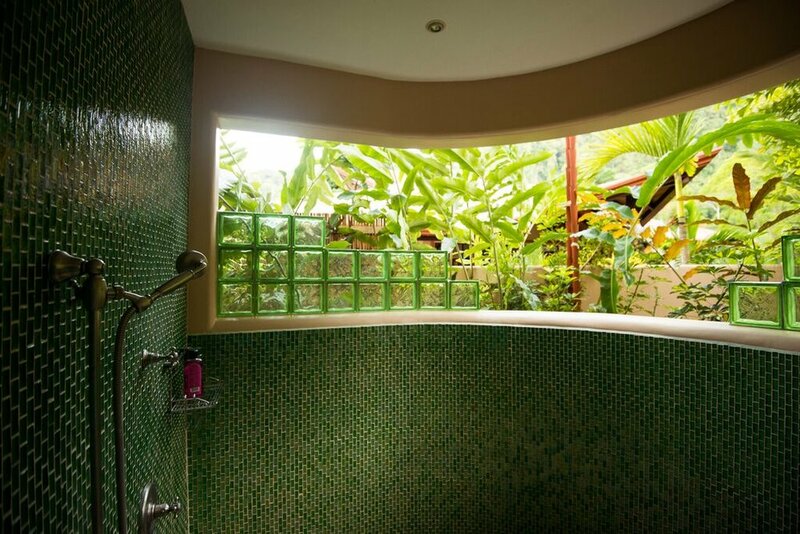 Your very own sanctuary to be, perched highest on a ridge overlooking the lovely and solitary Playa Hermosa. 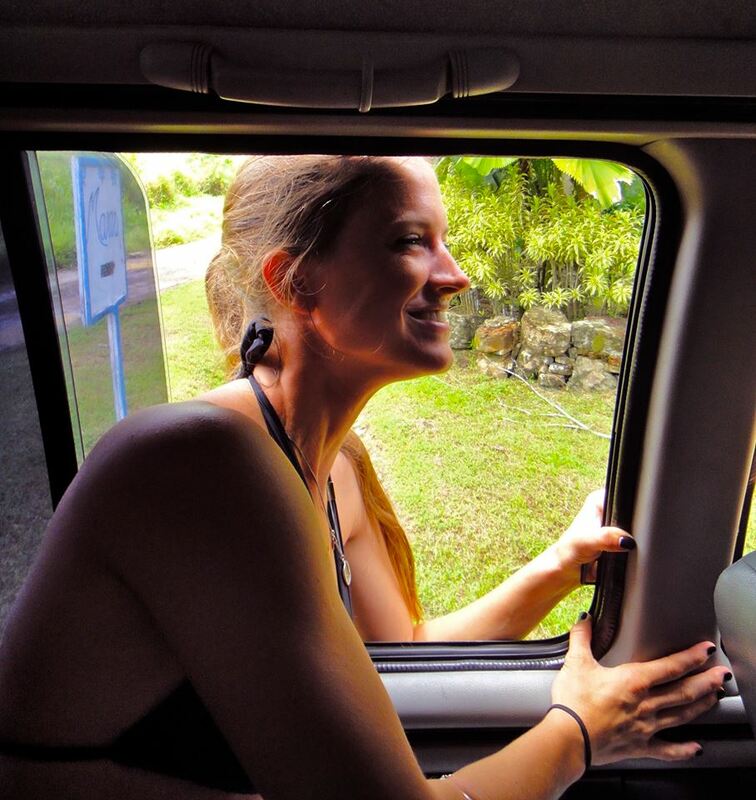 Ocean breezes and lush rain forests create a tropical home to toucans, sloths, monkeys, frogs, sea turtles, whales and also for your individual spirit. The forest's symphony is curious and her way of drawing you to yourself is magic. For this reason, resting is customary sport and widely supported by the locals. Each of the 8 suites provide an unparalleled level of appointment and luxury for up to 15 guests with spa linens to wrap you when you care to be. The (2) King “Apartment” Bungalows are giant with lovely kitchenettes for personal use. You are encouraged to retire completely, often and anytime. 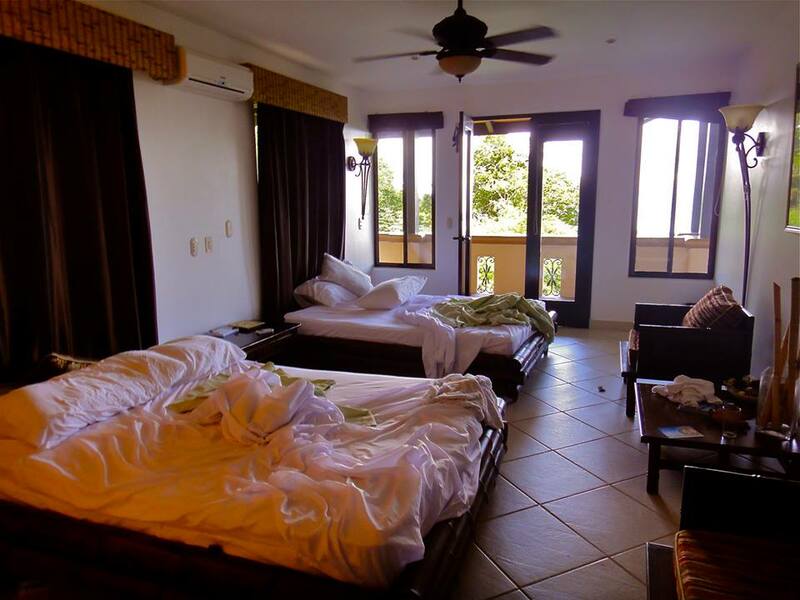 All rooms are air conditioned and have daily maid service. 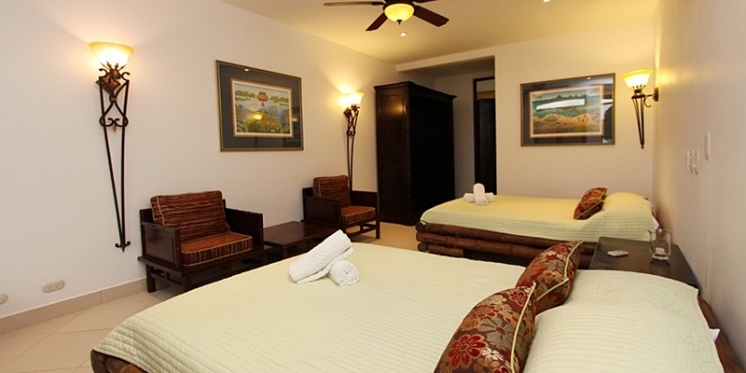 At the end of your stay you may opt for the included laundry of all your items. Public bathing, is required by fun. So, the striking fresh water, 1,700 sq ft infinity swimming pool, surfaced entirely in cobalt blue glass tiles, was installed and features a shallow water beach for sunning. 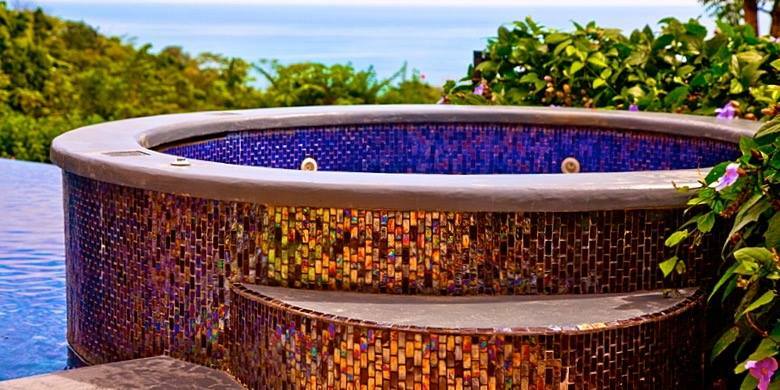 The spill over and cascading waterfalls of the jacuzzi create a dramatic panoramic frame to the ocean below and the adjacent lizard, frog and butterfly habitat. You can peek over the pool’s edge to gaze at these visitors anytime. 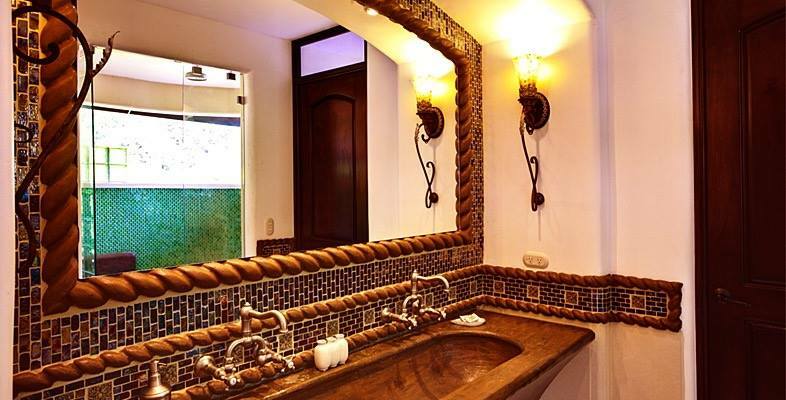 Mareas' very own Private Wildlife Preserve invites you to explore nature trails beginning, literally, at your own room. Trails that arrive at four private waterfalls and the solitary riches of the rainforest canopy. (You are requested to travel with a buddy in the rainforest, as a more than 3 minute walk will leave you separated from human life completely.) 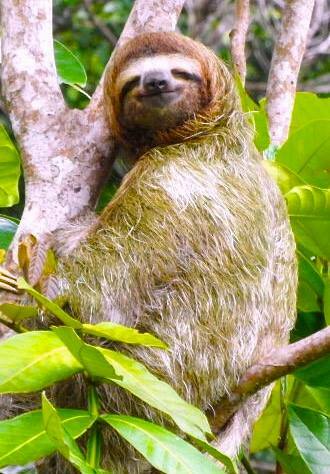 There are more species of plants and animals per acre in Costa Rica than anywhere else in the world. Biodiversity is evident everywhere: 10,000 species of plants, 850 species of birds, 800 species of butterflies, 500 species of mammals, reptiles, and amphibians. 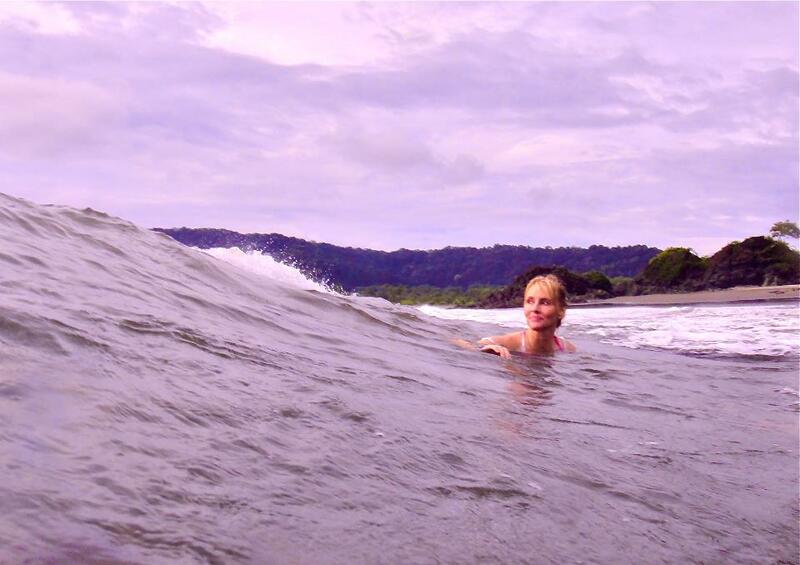 Not unlike Eden, weather in Costa Rica is perfect nearly every day of the year. While visiting in April, you can expect 85° daytime temperatures, fair humidity, gorgeous momentary rain just before sunset, supernatural evening breezes and fireflies at dawn. MAREAS HAS RESPONSIBLE, GREEN PRACTICES: On site, organic and locally grown foods are mostly served which reduce packaging and improve the quality of your meals. Recycling, sorting and composting are a way of life in Costa Rica. Native species of plants were used for landscaping instead of imported and endangered ornamentals. Biodegradable products are used for laundry and cleaning supplies. 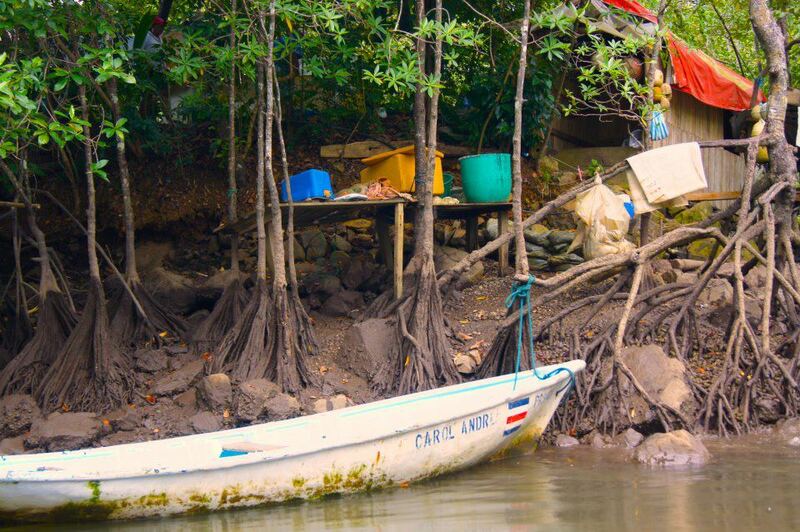 Mareas donates to Costa Rica's reforestation effort. 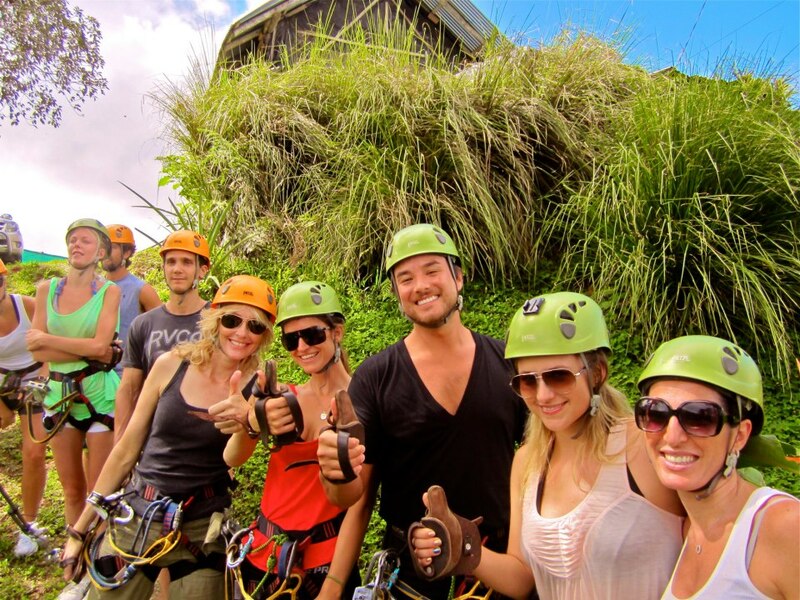 Flights to and from San Jose International Airport (SJO), Costa Rica are the responsibility of the guest. * FOR TIMELINE SAFETY, PLEASE HAVE COLIN CHECK YOUR ITINERARY BEFORE PURCHASE. The following terms are firmly required in reserving the many inclusions being held and reserved on the guest's behalf. Reservations and payment to vendors happens months in advance. Guest's immediate payment is due upon booking. Deposits and or negotiated installments are extensions and must be paid on time. No refunds on any/all processed payments, of any amount will be granted for any reason. Full transfer to another guest's name may be granted, but is not guaranteed. Any and/or all transfers fees (airfare, etc.) are the new and previous guest's responsibility. With sincere regard for the intention of the retreat and your individual processes, guests are asked to joyfully 'power-down' completely. Please leave large computation devices (laptops, tablets, iPads, etc.) at home. Cell phones, cameras, iPods and reading tablets (kindles, etc.) are okay. Guests are asked to disconnect from internet and WiFi. If you are dependent upon internet or phone for family and/or business, requests will be figured with no problem. These guidelines honor the space and wonderfully enhance the experience, offering guests an actual retreat with time to detox, to clear and to set free from unhealthy static noise. 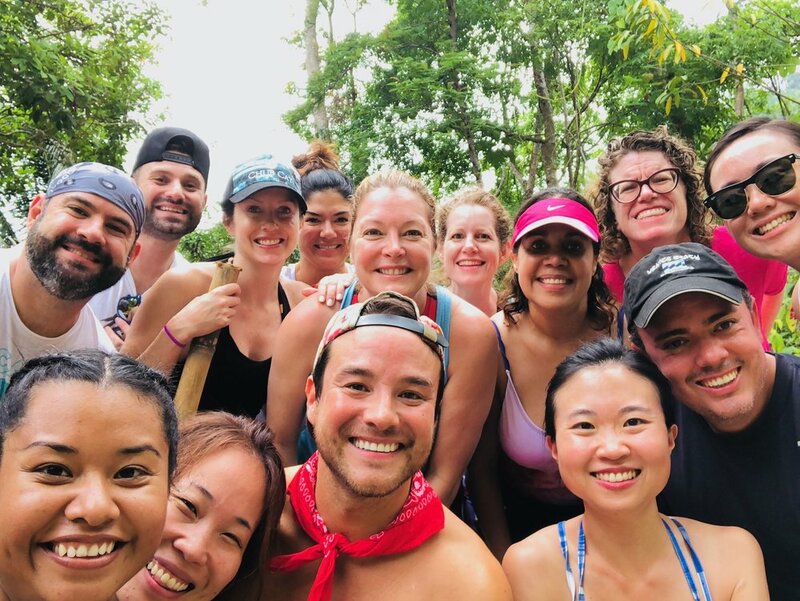 Costa Rica Yoga Retreat 2018! is a drug free experience. Please consume alcohol responsibly. In case of emergency, there is a local hospital.